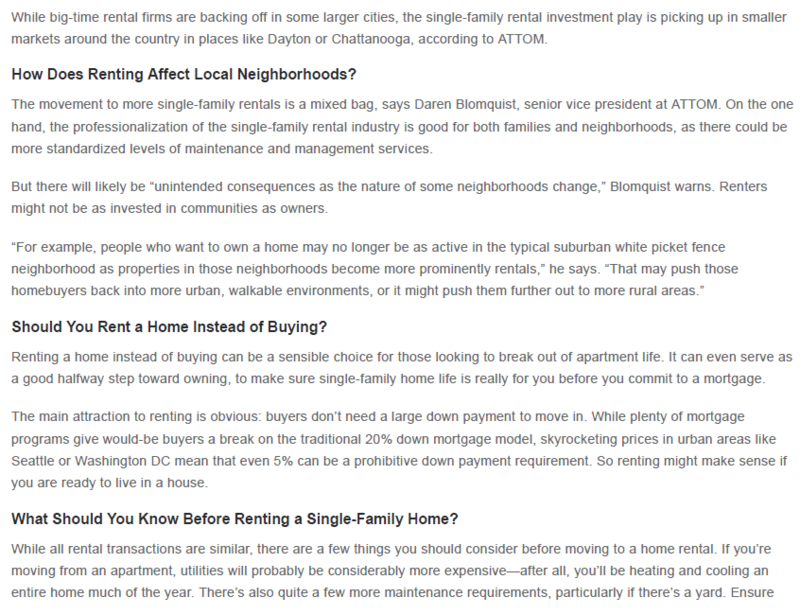 Below is a blog post from Credit.com stating that single family rentals are developing faster than home purchases and apartment style living. From our point of view, we tend to agree with much of what is stated in this article. However, we do not believe that the Boise market fits the mold described in this article. 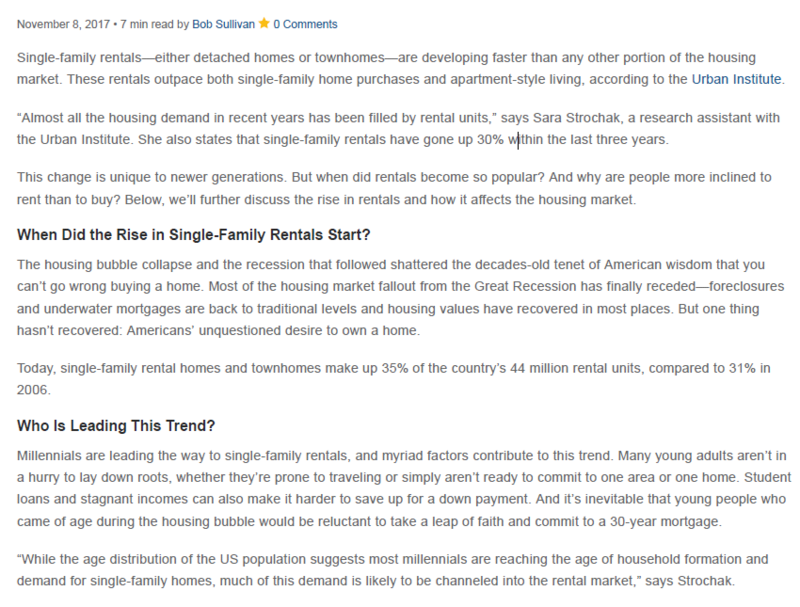 We agree that the rental market has surged after the housing crash. However we do not agree that this has been limited to only single family rentals. Boise and the surrounding areas have been building thousands of apartments each year and their finishes are far superior over your typical starter home. 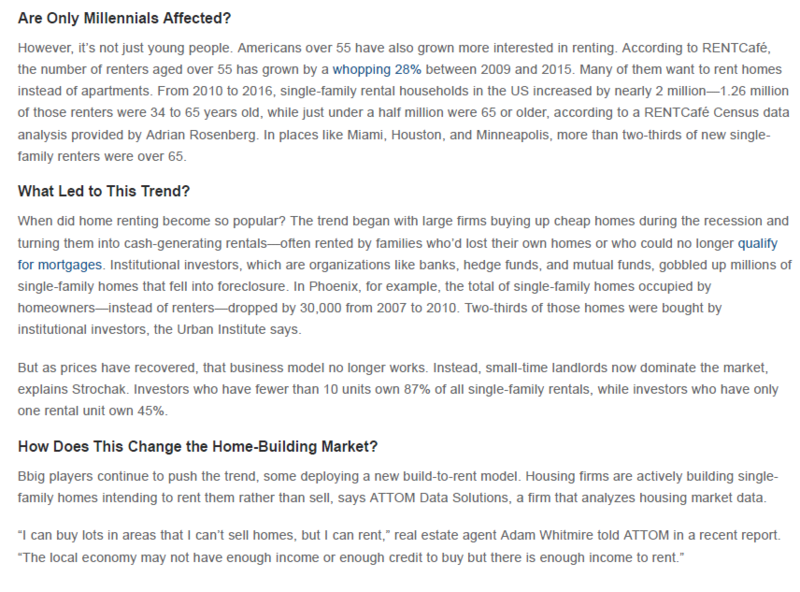 Perhaps it was the millennials that started this trend, but we've seen renters from all generations. 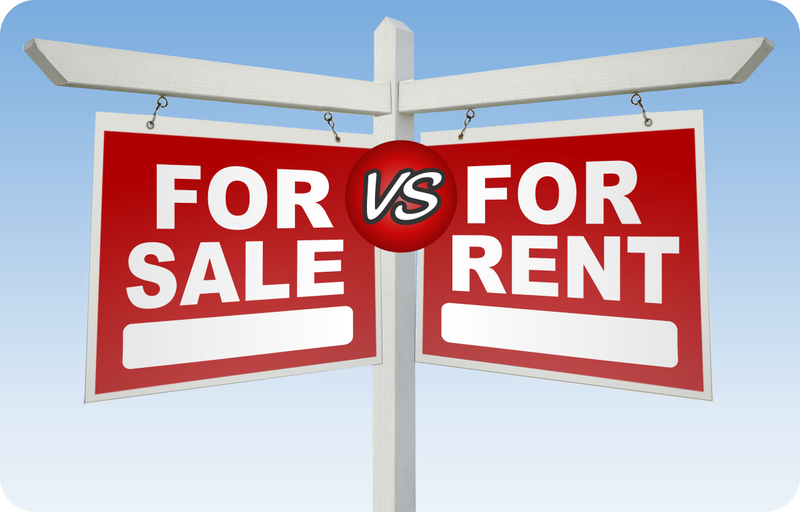 As we have posted over the years within our own blogs we not only saw the loss of confidence in homeownership but also saw professionals desire to rent due for the flexibility and the ease of using your smart phone to take care of any maintenance needs.